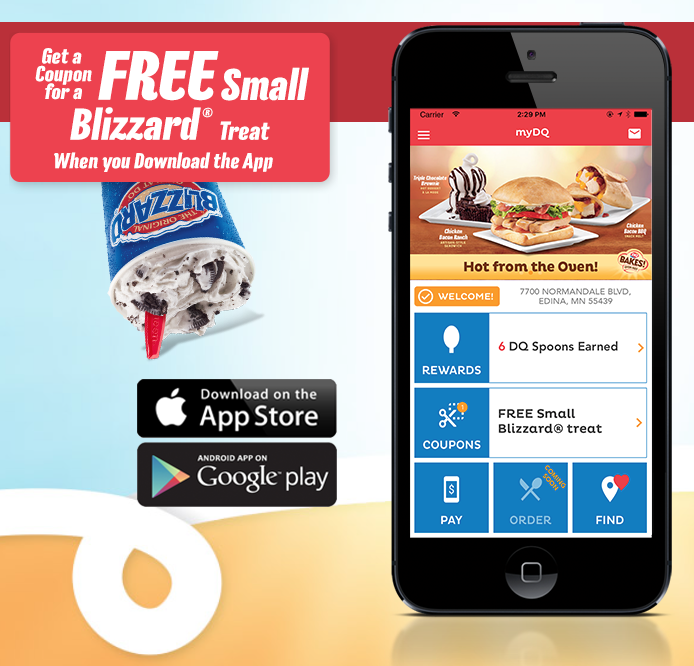 Download the Dairy Queen app and get a free small blizzard treat! Download the app and visit the ‘Coupons’ section to get your free blizzard treat! Once you click to redeem it’s only good for 15 minutes, so wait until you’re ready to use it before clicking redeem.